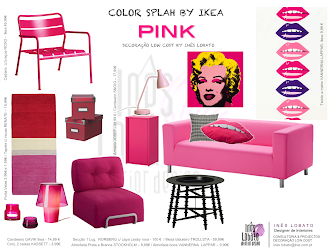 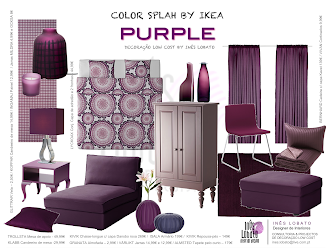 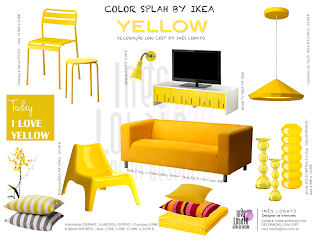 Today I feel like celebrating the arrival of the summer, I was inspired by this CIN paint catalog, so today's post is about those inspirational light and sunny colors. 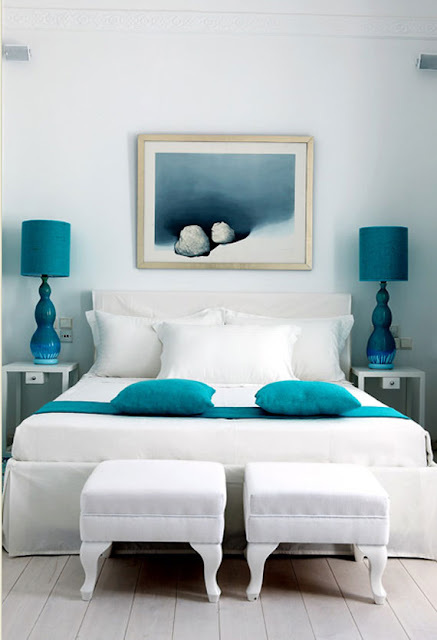 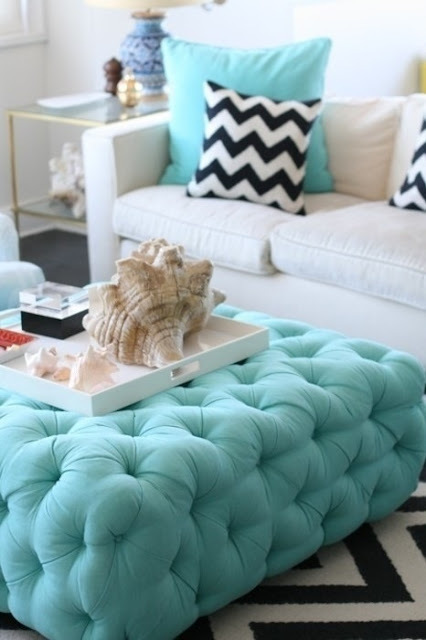 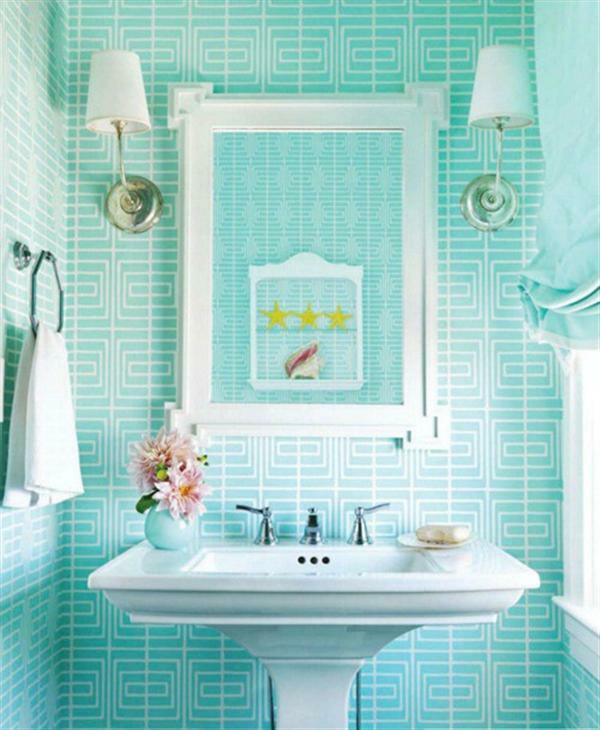 I love the aqua blues and greens, they transport me somewhere on a lovely Mediterranean beaches. 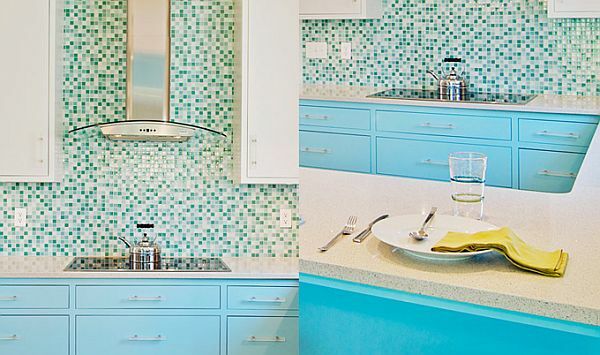 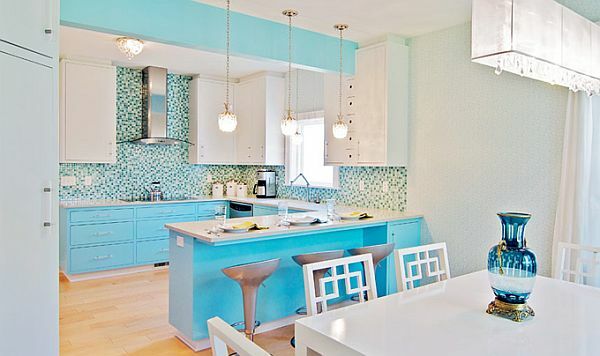 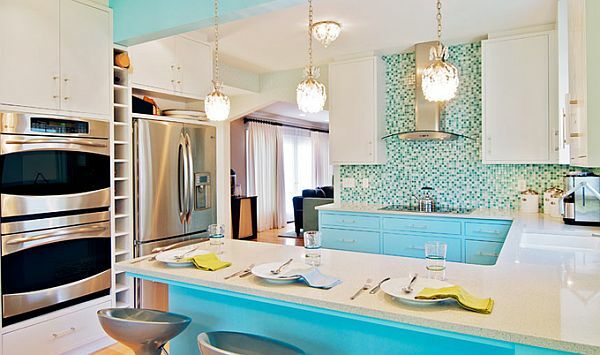 "My living room is aqua blue, so I always feel like on vacation and i'm thinking about painting the suite in this wonderful coral orange, I just love it"
I found this stunning aqua blue kitchen by Dan Waibel that illustrate the vibrant mixture of white and turquoise. 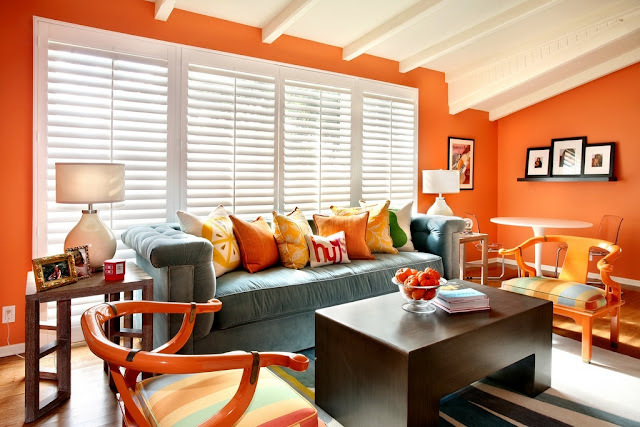 I also love warm summery colors like yellow and orange. 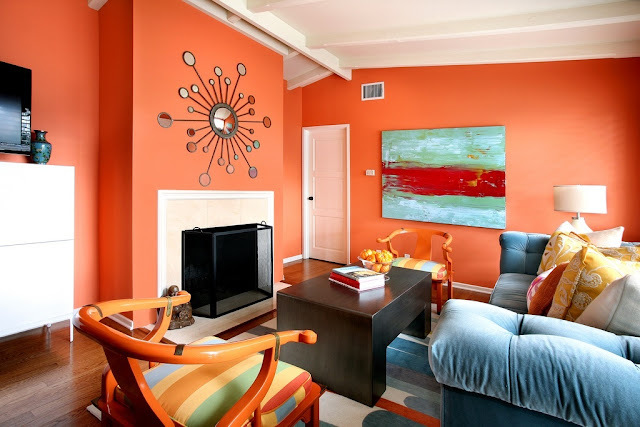 I just love the orange chinese chair, they really are the stars of the room. 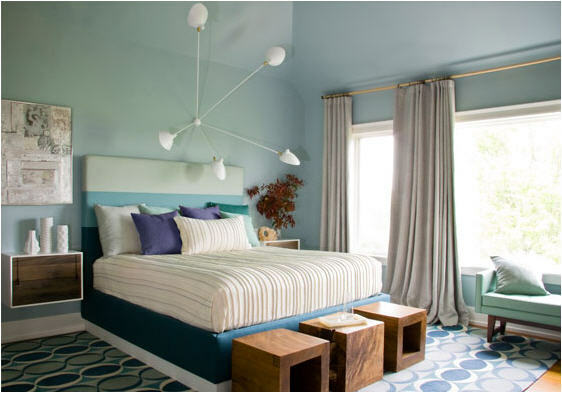 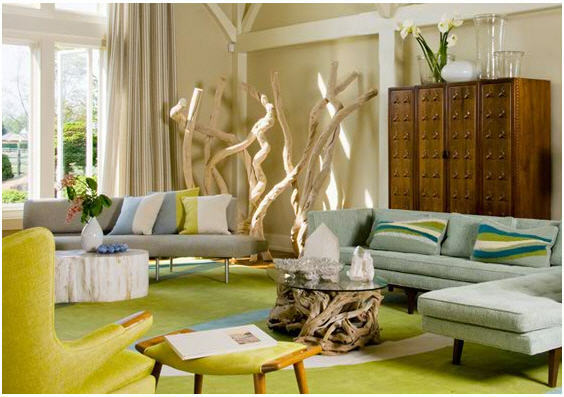 I'm sure that the color of the walls was inspired by those wonderful lounge chairs. 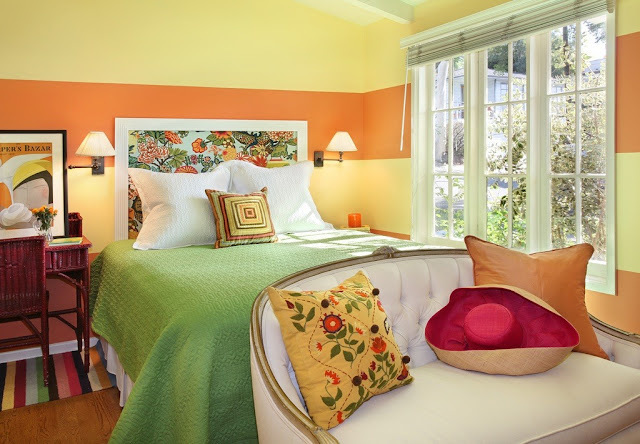 Natalie Umbert's bedroom is also very summery, I love the yellow and orange painted stripes and the bold patterns of wallpaper headboard and pillows. 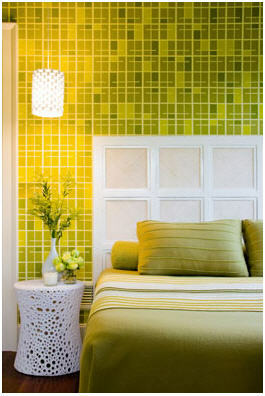 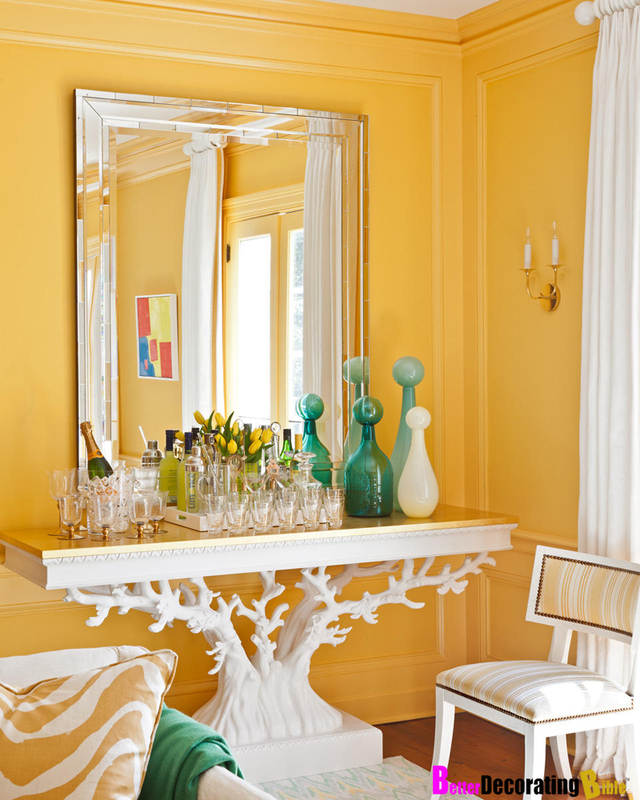 Yellow is a big trend for this summer and it's one of my favorite colors of the moment. I'm an in love with this gorgeous white coral inspired console, the white pops so well agains the sunny yellow and the gold counter top is a great addition. 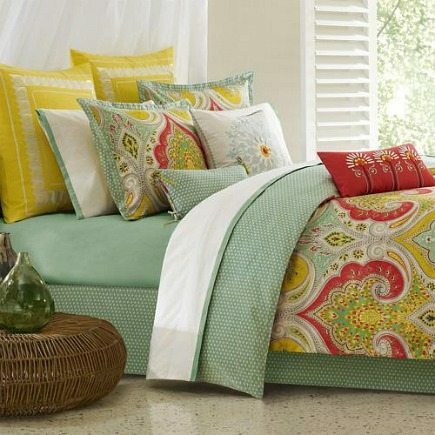 Finally I leave you with this picture of this wonderful bed set that includes all of the colors of the CIN catalog that inspired me, mixed with a great pattern, it's definitely a statement!